All of my bride and groom portraits are based around their connection. Once I find the best light, or make my own if I have to, I work in a way that allows the newlyweds to feel comfortable and be themselves. Even here, the beautiful bride and groom are sharing a moment as the sunset shines through the bridal veil after their wedding ceremony. I particularly love shooting at this time of day because this is when the light is best. I always suggest this time of day for the bride and groom's portraits. 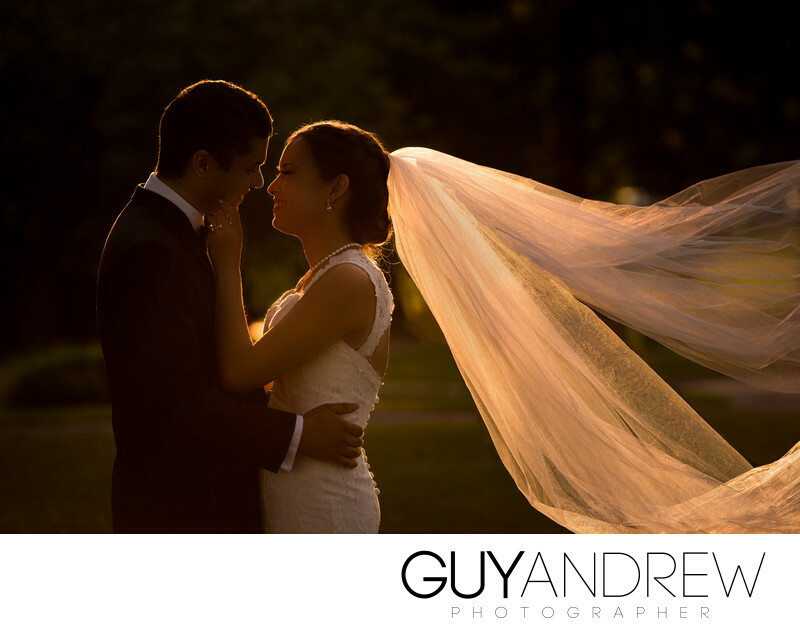 It's low in the sky and provides a warm and romantic tone for the couple. 1/1000; f/4.5; ISO 200; 195.0 mm.